You will probably never get to fly a TIE Fighter because they are not real but that doesn’t mean you have to give up on your dream of owning one, you just have to scale it down a bit. 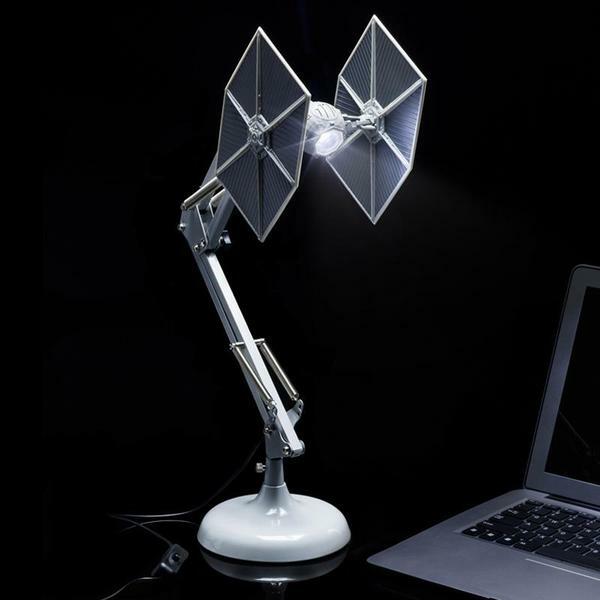 Get your very own TIE Fighter with the TIE Fighter Anglepoise Desk Lamp. This is officially licensed merchandise. It is an posable angle lamp in the shape of a TIE Fighter. It is supported by a moveable base. The light comes from the cockpit, LED, not lasers, you’re safe from the Empire’s wrath, probably. This lamp powered by USB and is 60cm tall. It makes a sturdy desk lamp for late night battle plans. I don’t know why we’re featuring all Empire merch today but that’s just how it’s working out. Anyway, this lamp is super sleek and is Lord Vader approved. You can preorder yours for $68.